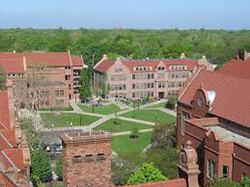 Millikin University is a private, four-year university, with traditional undergraduate programs in arts and sciences, business, fine arts, and professional studies, as well as nontraditional, adult degree completion programs (PACE) and graduate programs in business administration and nursing. The university was looking for a way to cut costs and increase production for its fundraising efforts. The sales CRM software, outsourced scripts, and management company it was using was ineffective, and cost the university about $100,000/yr. Student fundraisers were not bringing in enough donations because they had difficulty adjusting call scripts for different campaigns and call scenarios, and the fundraisers were uncomfortable with the generic scripts. This lowered productivity and moral for the team. In addition, management had problems training new fundraisers for its annual phonathon. It took a lot of time and effort to get them trained and ready to raise funds, because the calling software wasn’t user friendly and was difficult for fundraisers to navigate. The donations that Millikin collected were difficult to track throughout the semester because management was unable to determine the amount of money raised by individual fundraisers. This was needed so that they could determine the caller’s effectiveness and track how well improvements were working. Millikin University saved thousands of dollars in the first year after implementing VanillaSoft. Management trains new fundraisers with minimum effort because it is easy to navigate. Trainers now focus more on the conversational and fundraising skills of the caller, and less on how to use the software. The fundraisers feel more comfortable with VanillaSoft because it’s user friendly. With just a short training session, they are ready to make calls. In addition, with VanillaSoft’s logical branch scripting, scripts are adjusted on-the-fly, as needed, since they are created in-house. Fundraisers have increased productivity at Millikin with the combination of VanillaSoft’s customized call scripts and drop down menus, and easy-to-use system. Fundraisers like that VanillaSoft’s logical branch scripting feature enables them to customize the call screen, and change ask amounts depending on the donor level. Because fundraisers do not have to shift their attention away from the call screen and do calculations to determine how much to ask for, they can focus on connecting with the alumni to donate. Millikin also greatly benefits from VanillaSoft’s reporting and tracking capabilities. VanillaSoft enables management to keep track and report on the status of each fundraiser. Every time a fundraiser calls a lead, VanillaSoft records which caller worked on it, the results, and exactly when it was worked. In addition, management can build call reports based on fields like caller, source, date and results. Now it is easy for Millikin to run reports and track individual fundraisers and improvements throughout the semester. By using VanillaSoft, the university has both reduced production costs, improved donor engagement, and increased efficiency, paving the way to bigger profits. Millikin is expecting continued growth in the coming years. 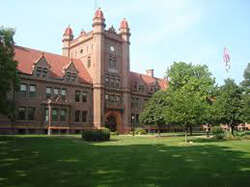 Millikin University ranked #14 in the 2015 U.S. News Best Colleges (Midwest region) report.